A fine post 1953 example on three screw posts. 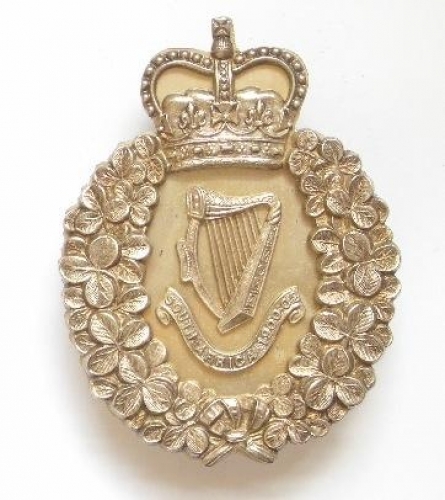 Silver crowned shamrock wreath with Harp over ''South Africa 1900-02'' scroll centrally mounted to backing plate. Reverse impressed "silver"